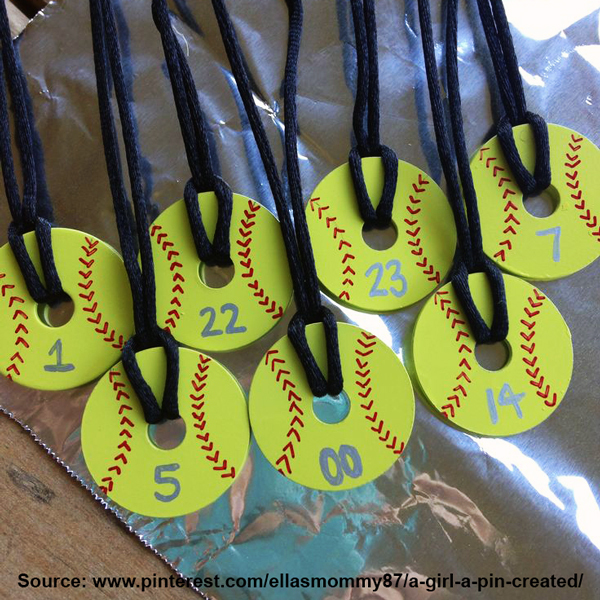 DIY – How to Make Softball and Baseball Pendent Necklaces From Washers « Sports Roses. Your passion for sports…expressed. Other ideas: you can also make a baseball necklace design the same way, except use white spray paint instead. Did you like this idea? 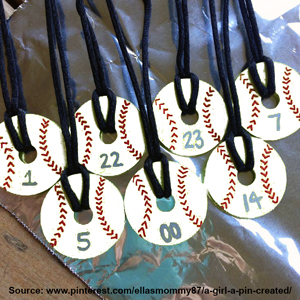 Then you’ll love our other handmade baseball and softball themed gifts including Sports Roses. We remove the cover from real baseballs and softballs to create everlasting petals that are formed into a rose bud and attached to an artificial rose stem. 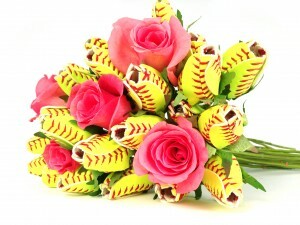 Sports Roses make a great gift idea for all occasions for players, coaches, and team moms. Click here to visit the Sports Roses online store. What is the washer #? I went to Home Depot and they had limited supply. I am looking at ordering from amazon but the sizing is hard to convert. They refer to washer #. Are you familiar with that? adorbs! how i can modify this for wiffle ball players? i want to make some for our year end party. thanks in advance! I had trouble with spray painting both sides. I would let the first side dry, but then when I turned them over to paint the other side it would go thru to the other side and make it stick to the cardboard and ruin that sides paint…how did you do it?